Dodge Diesels are fitted with an electronic viscous fan clutch which is electrically activated by the ECU when the engine temperature reaches high temperature or the air conditioning head pressure reaches 240 to 270lbs. The air conditioning head pressure is reported to the ECU by a transducer located in the discharge line and will cause the fan clutch to engage almost every time the truck idles for a few minutes in warm weather. Operating the electronic viscous fan clutch to maintain a reasonable head pressure is critical. The viscous fan clutch provides proper system cooling and prevents compressor clutch slippage or burning, as well as premature compressor failure. Dodge diesel trucks, as well as most other diesels models, are designed with large cooling system. These systems operate at idle for long periods of time. The fan clutch should always engage when the system head pressure reaches in the 240 to 270lbs range. 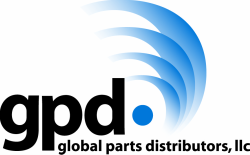 gpd has the electronic fan clutch assembly: part number 2911297. We recommend that you check the transducer and fan clutch assembly, like all viscous fan clutches it may be turning, but is working correctly?